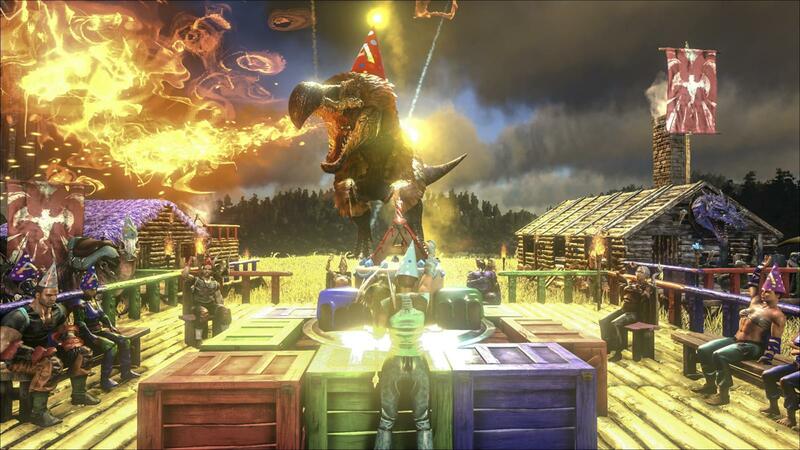 ARK: Survival Evolved – 2 Years Celebration! Happy Birthday! Live now on all Plattforms! PC, Xbox One and Ps4! And on top of these you can craft a special cake at a cooking pot, which will grant them the magical Loot Booster buff! It increases the rarity and value of any Supply Crate, or Loot Box you open!